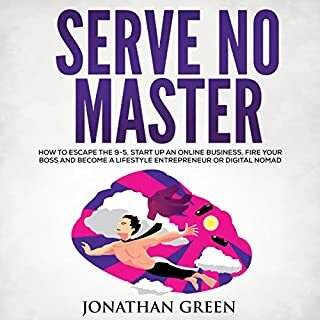 Best-selling author and lifestyle design expert Jonathan Green is finally ready to share the blueprint he used to escape the prison of poverty, debt, and office politics that still hold so many people imprisoned. He's not content with just sharing a few ideas - instead this traveling renegade is taking aim at every roadblock that keeps people from achieving their goals. Learn how to snap the chains keeping you from achieving your dreams. From "dating the wrong person" to "going to the wrong college" to "stuck in a career I hate", Control Your Fate gets to the root of the problem, bypassing the symptoms, and delivers a simple process for life change in small, manageable, and implementable steps anyone can take to become happier, satisfied, and more joyous with life. Let me guess - you're a talented writer who is willing to do whatever it takes to make a full-time living by writing. You've read countless articles and books on the subject, followed the suggestions in them, but you just can't seem to make the income leap. Or you may be a new writer who is convinced that you're missing something, because your own experience isn't matching up to what you've read is possible. Making money, yeah. Cut the rant though. Do you want to develop the charisma of a cult leader, and not spend your life struggling to lead a team that hates you? Do you want to build an empire - automatically? Are you struggling to build a team and surrounded by workers who resist your every decision? Or are you just tired of being at the bottom of the pile when you know you could run the ship better if you were in charge? You cannot underestimate the power of influence. Learn how to shatter the glass ceiling keeping you from achieving your goals. Do you want to write faster, and not just spend your life stuck behind a computer? Do you want to write 20,000 words - every day? Are you struggling to find the time to finish that great novel? Are you always late with your publisher or stuck choosing between writing and your family? Writers, authors, and screenwriters - you need to read 20K a day - as soon as possible! In this book, you'll learn how to use the power of ritual to unlock "the zone" every single time you sit down to write...forever. You cannot underestimate the power of speed. Learn how to isolate the distractions that slow down your writing and remove them from your life immediately. You will discover the fast writer living within you right now just waiting to burst forth into the universe. As a 20K Writer, you will finish projects sooner, get paid faster, and have more free time to spend doing the things you love than ever before. Packed with wisdom you can put to use right away, you'll learn how to become the writer you always knew you were. What pragmatic and actionable tactics will you learn? ©2017 Dragon God Inc. (P)2017 Dragon God Inc.
Would you listen to 20K a Day again? Why? I absolutely LOVED this book, and the narrator is a pro! I like Jonathan's writing style where he pulls you into a story and then later on he gives you the reason why he was rambling on about his story. I think John was an excellent narrator for this audiobook, but I was also thinking that that an old man that sounds like grandpa could have read this. Jonathan just goes off on all these tangents, and you're like "why is he telling me this"—he keeps rambling on like an old man—and then you'll have an "aha moment" and be like "ohhh, that's why he was telling me about his dog" or whatever. It's a really entertaining way to teach, instead of some dry instructional manual. So is the book worth it? Well let me ask you this: Are police officers really domestic terrorists? Of course! You have to get this book. Jonathan never disappoints. The man rambles on like an 80 year old geezer high on cough syrup, but never disappoints. I got more juicy tips on improving my writing in the first two hours of his long-winded storytelling than I got from listening to six different audiobooks on how to succeed as an author. Stop playing games with "how to" books written by guys that are broke! Jonathan is a full-time author who makes gobs of cash doing what he loves: talking people's ears off. . .twenty-thousand words a day. What was one of the most memorable moments of 20K a Day? What did you learn from 20K a Day that you would use in your daily life? FEAR IS AN INTERNAL FORCE OF OPPOSITION. 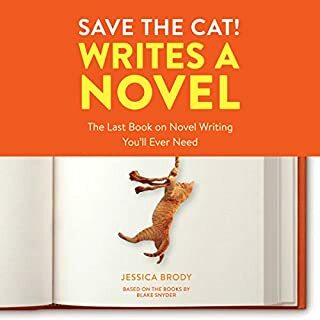 There are a great many 'how to write' books out there, and as a full time writer myself, I have to admit that the title made such a bold claim (20k words in a day) that I was skeptical. However, after just the first few sections, I knew that Mr Green was coming at this from an entirely new direction. Using dictation and planning as the core, and then moving into various methods like sprint writing, mastering distractions, and mental rituals to get oneself into 'the flow' the author managed to make good on the claim. The narration is crisp and the segments are presented in short bursts, which made it very easy to listen to in pieces throughout my day. Already I am implementing parts of his process and seeing results in my own writing, which is where, for me, the proof reveals itself. 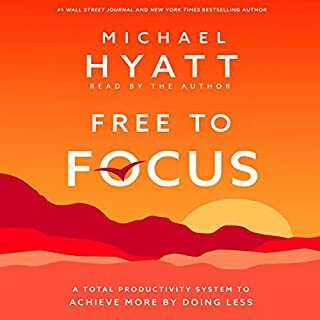 I was provided this audiobook free of charge as a review copy, and have picked up the print edition for reference. A truly exceptional guide to writing fast. I have been writing for decades and never understood why I could sometimes put thousands of words on the page, and why other days I could barely get a word out. Writers block? Location? Time of day? There were just too many questions. I have to admit that I've been kind of thick-headed and stubborn when it comes to advice on writing fast. My assumption was that books that present systems for writing fast would only end up sacrificing quality of prose for speed. Now I understand that isn't the case at all, at least not with Jonathan's system. You can write fast and you can write well. I think Jonathan has done a fantastic job of describing how the writing process really works, almost as a medical doctor could describe the respiratory system, or the intricacies of how the heart works. Jonathan understands writing from the position of a true professional who knows his craft well. The narrator did an outstanding job as well, and I applaud his clear pronunciation and the pace of his narration. I find that some narrators are just too fast, and they read as if they have one emotion. The narrator did a great job in giving life and character to Jonathan's words. I recommend this book to everyone who is serious about writing. Just humble yourself like I did, and listen to this great teacher of our beloved craft. Thank you Jonathan and John, you have really done writers a service! Jonathan Green has outdone himself in this massive volume packed with writing advice. I've been hitting numbers around 2500 - 5000 a day, and sometimes breaking 10,000 words a day, but I never understand exactly why. Jonathan examines everything with a fine tooth comb so you can fully understand why you do better on some days rather than others. There are a ton of tips in here for writing by hand (i.e., keyboard) but he also covers dictation, however, his system does not rely on dictation. I'm starting to track my numbers and I fully believe I'll be able to hit 20,000 words in a day. The only thing that I would change about this book is removing the sections on dictation. I would have made that a separate book, but I've tried dictation several times and it just doesn't work for me. If you Google search &quot;VAK Test&quot; you'll find a &quot;visual, auditory, kinesthetic test&quot; which will help you determine whether you learn best through sight, sound or touch. I'm almost 100% visual, so I need to see the words in front of me. . .and the problem is that if I see the words, then I want to edit the mistakes. Perhaps there are visual writers that dictation can still work for, but it's just not for me. Jonathan covers all the keyboard writing advice before the dictation section, and that's what the book is mostly about. Trust me when I say that there's a lot of stuff in here that you likely haven't thought about, and probably haven't found in other books on the topic of writing fast. I have two other books on this subject and they don't come close to Jonathan's epic instructional manual. You want to write more, and increase your income because you can put out more quality content quicker? Get this book. What insight do you think you’ll apply from 20K a Day? I've been trying to get a novel out for years now. Yes, all my friends have heard me talk about it, but it's become embarrassing because I've never published anything. I'm like the character in the movie Limitless, who talks everyone's ear off at the bar about his book, but has nothing to show for it. I've been approaching this all the wrong way. I don't know who or what got it into my head that "pure" writing is done without an outline, but I'm realizing now that that nonsense has cost me years of not producing, when I could have finished my novel in a week with Jonathan's system. 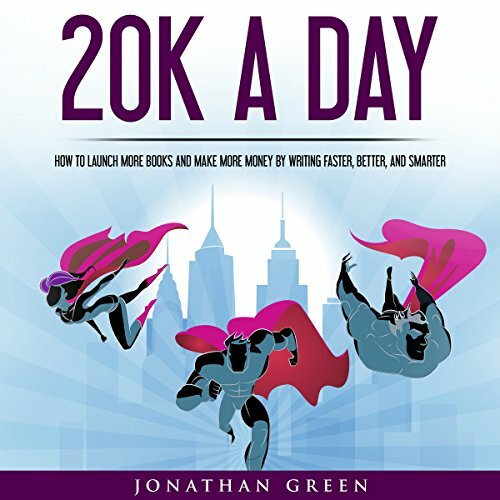 For the record, Jonathan's "20K a Day System" is more than just outlining. 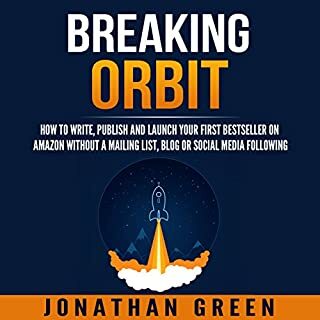 Anyone can say, "If you want to write faster, just outline," but that's only the skeleton of the holistic system that Jonathan covers in this book. There's just a ton of advice in this book. I took away lots of great information and really wanted to give him five stars in all categories but I couldn't get over how often he falls back on how he is writing or dictating this on an island and how blessed he is to be on an island. I liked hearing it a few times as it is inspirational but there comes a point where it's almost in your face bragging. However it could make for a fun drinking game, but then you would have to listen twice to get the valuable information out of the book. Worth a read or a listen, but I personally was annoyed by his Island. 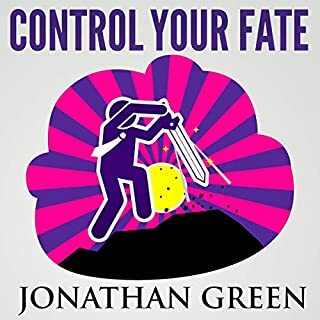 My buddy just introduced me to Jonathan Green, and I have to say that I'm impressed with his work. 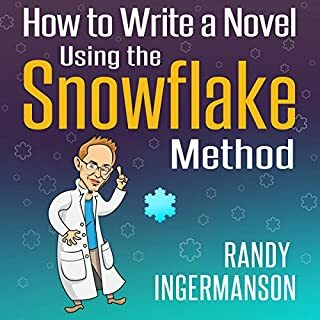 This book really takes you through the mindset and the mechanics of achieving huge numbers in writing. I like the fact that Jonathan's given the book a personal touch. This isn't a dry how-to book, but a real story of how a writer can crank out tens-of-thousands of words a week. Make sure to have a pen and paper to jot down the tips...there's a lot of them. Simple too repetitive ,author speaks of having written this book in one week...now that I believe. Very disappointed. Packed full of great information this book will spur you on to becoming the fastest writer you can be. I love to write but I am terribly slow, with all the great exercises in this book I know I can double and triple my speed. Awesome! Someone talked; finally, I now hold the secrets. Jonathan's honesty is refreshing throughout, but the revolutionary changes in my productivity occurred because he doesn't hold anything back. He is a scientist disclosing all his findings, and he teaches readers how to explore and determine which findings will work for them. Read, take action, eliminate distractions, and create more quality content in less time ON SCHEDULE. Then join the closed Facebook Group of rising stars on their journeys to success on their terms.